Your project. Our expertise. One outstanding partnership. 100% Employee Owned. In joining VHV, an employee becomes part of a trusted business partner throughout the Northeast for mechanical and plumbing construction services. VHV continues to be recognized for continued innovations in energy solutions. In 2018, VHV was named to the Efficiency Excellence Network by Efficiency Vermont. We now are proud to offer NCCER certification. This standardized training allows our employees to be educated on the cutting edge techniques and methods. 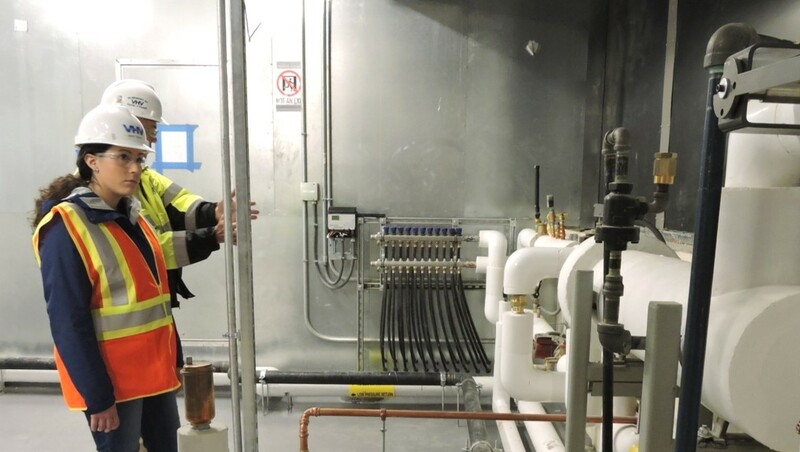 Discover how one company’s custom HVAC system came to life with VHV on the job.